Heeft u een vraag voor Elite Boutique Hotel? 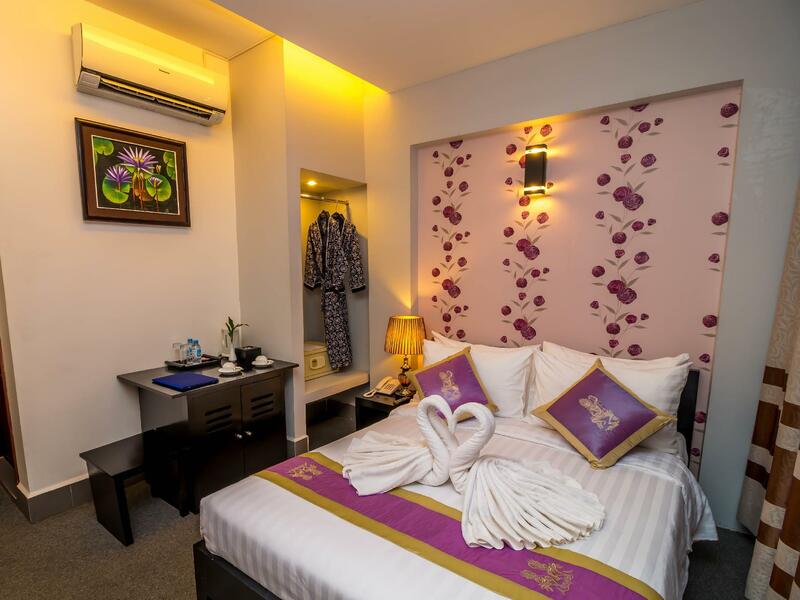 Voor reizigers die komen voor de bezienswaardigheden van Phnom Penh, is Elite Boutique Hotel een perfecte keuze. Slechts 1 km verwijderd van het stadscentrum, is dit een goede plek voor gasten om te genieten van de attracties en activiteiten in de stad. Met de belangrijkste attracties van de stad - zoals Bophana Center, Frans Kultureel Center, Wat Koh - binnen handbereik, zullen bezoekers van het hotel de locatie waarderen. Voor Elite Boutique Hotel is niets teveel om het gasten naar de zin te maken. Zo biedt dit hotel goede service en vele faciliteiten. Voor het comfort en gemak van de gasten biedt het hotel 24-uur roomservice, gratis wi-fi in alle kamers, 24-uur receptie, faciliteiten voor mindervaliden, snel in- en uitchecken. Het Elite Boutique Hotel beschikt over 19 kamers, allemaal smaakvol ingericht voor optimaal comfort, met voorzieningen als plasma tv, internet (draadloos), draadloos internet (gratis), rookvrije kamers, airconditioning. De recreatieve faciliteiten van het hotel, inclusief hot tub, sauna, wellnessfaciliteiten, massage, tuin, zijn ontworpen voor maximale ontspanning en onthaasting. 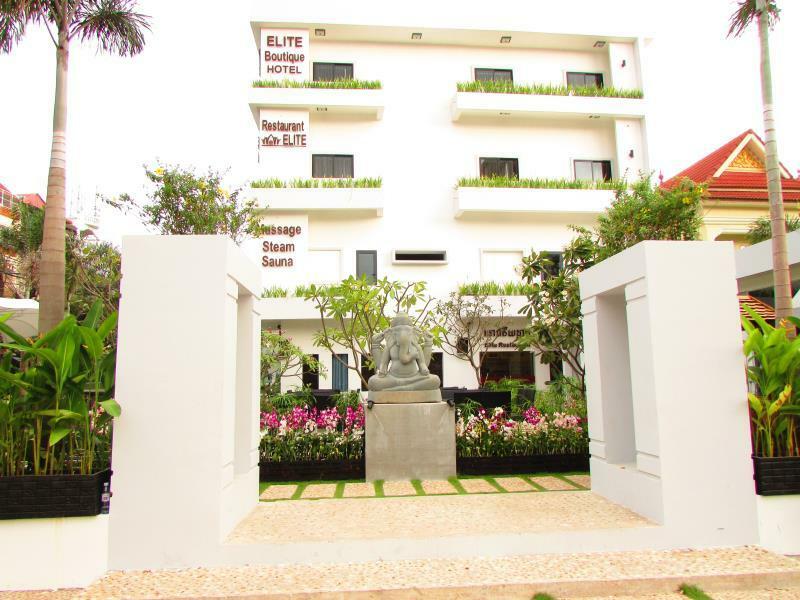 Fantastische faciliteiten en een uitstekende locatie maken het Elite Boutique Hotel de perfecte uitvalsbasis om van uw verblijf in Phnom Penh te genieten. The room not renovate for too long! The shelf in bathroom fall down by itself when I use the hairdryer to dry my hair. I took all photo and next day they still request me to compensate. The manager is so rude and not professional at all! Scold customer when customer try to discuss with them. Bad service ever! Bad experience ever! No lift. Water pressure too low. Ok,front rooms noisey,no lift,stay was not to bad,had ear plugs. 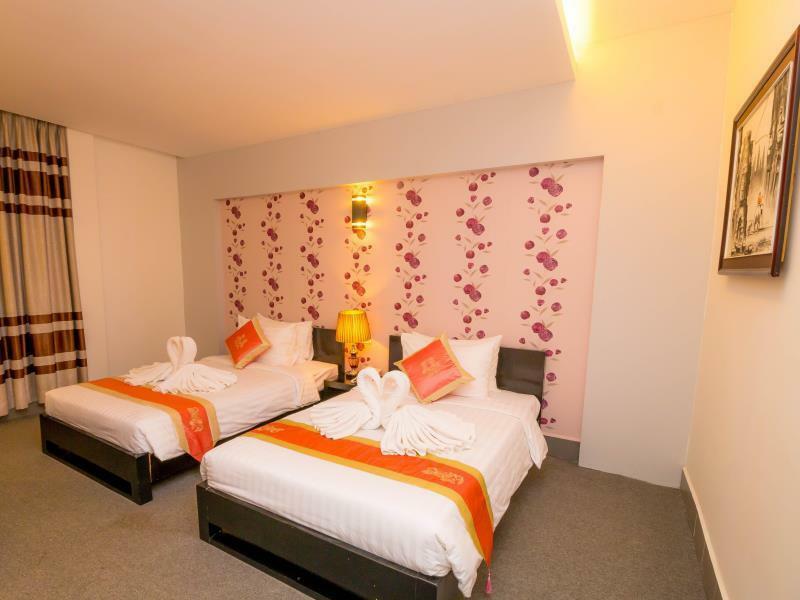 Near to many restaurants, Nice clean rooms. Wonderful! Will definitely back again. Service was excellent at the hotel, I think it made the stay more pleasant. Although the hotel is slightly outdated it was in a great location, aeon mall is not too far away for your shopping needs. Staff were very friendly. Only thing is I would of prefer there was a fly screen on the windows as I have a 2yr old who likes to look over the windows and I didn't feel safe as the window is quite low and she could easily fall out but I had it locked at all times and also if it would be possible a lift would be good. Other than that my stay was great! Great stay. Happy with the good location, friendly staffs and clean room. Will definitely come back again. I must say that our stay was quite ok. Not to say fantastic. First room we got on the 2nd floor, the sheets were not properly laid on the bed and it was dirty. Then the bath had no hot water. They changed our room to the 3rd floor. We had our shower and half way no water. This time the room was nicer and neater. It was really not a very good place to feel comfortable for a 3day trip. Location is quite ok. It's close to places you wanna go to in town area. One compliment is they got us our bus ticket and was helpful enough to get the bus to fetch us from the hotel. Breakfast is quite good but 2nd day waited a long while for our food. Overall, I think the staffs did their best to facilitate our room problems.